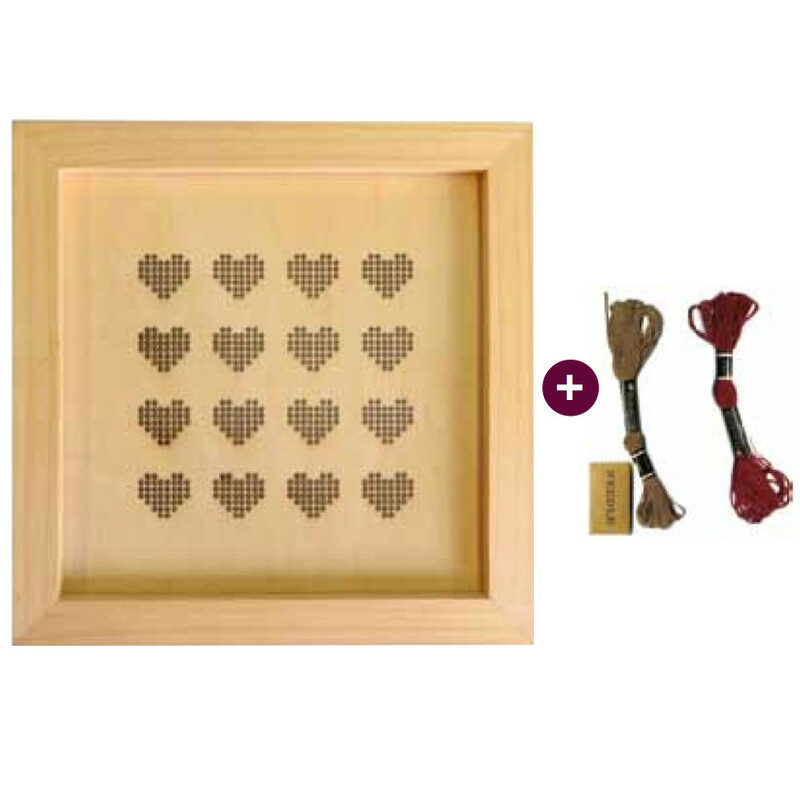 This framed embroidered heart kit is a great gift for a sewing fan or for you to make for your own home decoration or to give completed to a loved one. The kit comes with a needle and thread in two colours. The frame measures 24.5x24.5x1.5cm (internal dimensions 20cm squared).